Must see this great 2 bdrm with loft, 2 ba, 2 car, end unit. The spacious living room, you will find newer flooring, gas frplc with oak mantle. Many updates throughout the home include, wood laminate flooring throughout main level, center island w/ bar stools, pantry organizer, newer carpet, light fixtures, freshly painted throughout, window blinds, newer washer/dryer, refrigerator. 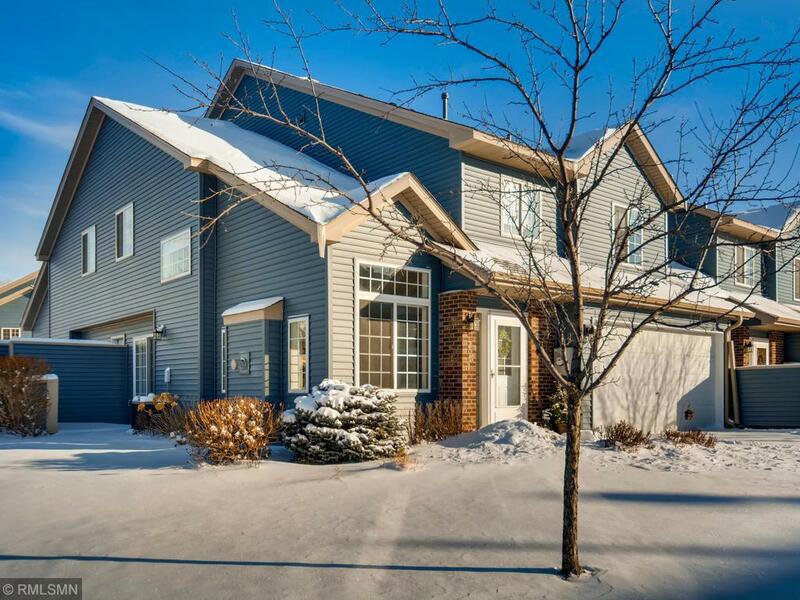 Large upper level walk through bath w/ tub and 3/4 shower, hug master bdrm w/ walk in closet.